We pride ourselves in providing the best service with the least amount of wait time. Our average response time is typically less than 30 minutes. Longer wait times can occur for greater distances or inclement weather. We offer so much more than light duty towing, medium duty towing, heavy duty towing and emergency roadside assistance. Our fleet is on the highways and streets of our cities and states every day, delivering a wide variety of vehicles and equipment to their destinations. Choice Towing of Southaven, MS offers 24 hour emergency towing in DeSoto County, Memphis, TN and all surrounding areas in North Mississippi. We offer towing services for both local and long distance. As for long distance, we will go anywhere in the United States for pick-ups or deliveries. From local to state to state transporting, we offer affordable pricing and genuine customer service with 100% commitment to your complete satisfaction. 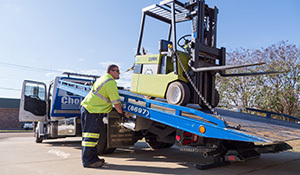 Specializing in flat bed towing/hauling, wheel lift, and winching, we provide towing services to a large local coverage area. "Fast, professional, reasonable, and courteous even in a down pour. Thanks I have you on my speed dial." "Thanks so much for towing my truck twice, excellent service and FAST! Got you in my phone as a contact will recommend you to anyone that needs it. "Your customer service is outstanding and I do appreciate that. You are the “best” towing service that I, we, have ever used." "On Time! Every Time! 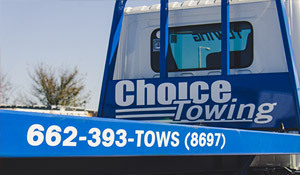 Thank you Choice Towing"
"The company is very professional and went over and beyond to help us." 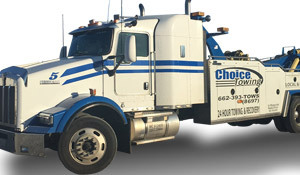 "Choice Towing has provided outstanding service in towing my professional tool boxes two times. my expensive boxes or the contents. Thanks, Choice!" "Excellent service, friendly driver and overall great experience. Will definitely use y'all again!!" "Reasonable, fast, professional and great customer service...definitely would recommend to others." safe, efficient, and timely. The pricing is always fair and their employees are always friendly. 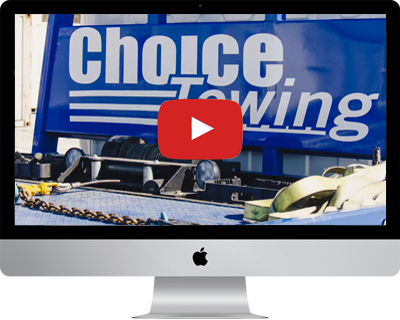 Choice Towing is a fantastic partner for us." who is in need of this type of service!"